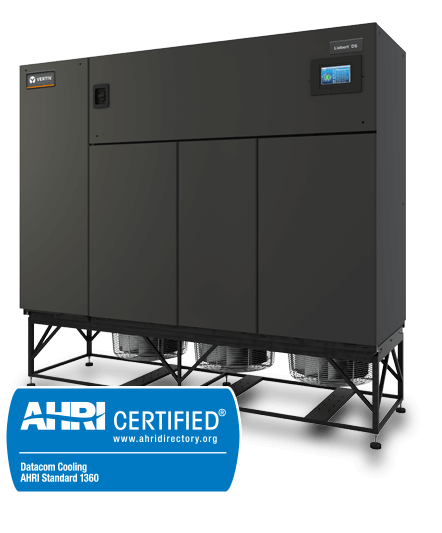 As the world’s most flexible and reliable direct expansion data center cooling system, the Liebert DS Direct Expansion Cooling System improves data center efficiency and protection. The system uses the industry’s most advanced thermal controls and features a modular design, multiple compressor options and easy service access. Liebert DS data center cooling system provides efficient, precise, reliable control of room temperature, humidity and airflow. The flexible Liebert DS offers high energy efficiency, user-friendly Liebert iCOM unit controls, a modular frame, front service access, and multiple compressor and fan options. Liebert DS is offered in downflow models from 35-105kW (10-30 tons) capacities and upflow models in 35-105kW (10-30 tons) capacities. Cooling types include air, water/glycol and GLYCOOL™.